Introducing Miss Maggie! 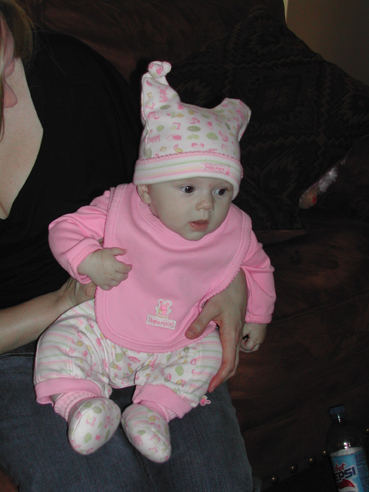 This was my first chance to meet my dear friend Heather’s baby girl and it was very exciting! She’s quite a sweetheart and very well-mannered. And here are the proud parents! Heather and Ryan. 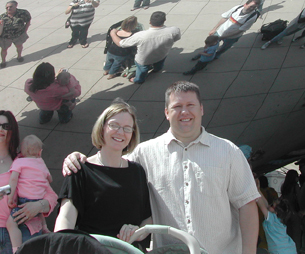 They are standing in front of the “bean”–a neat silver sculpture in downtown Chicago. And there’s the rest of the clan! That’s Brent & Cindy and little Isabella–not even two years old! 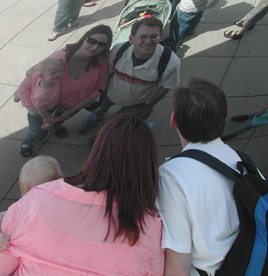 I had them stare into the bean! Ha! 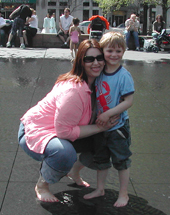 Cindy and her son, Benn, play in the reflecting pool at the Millenium Park right next to the bean! Benn was a little cranky in the big city but his mood improved when we got to the reflecting pool. 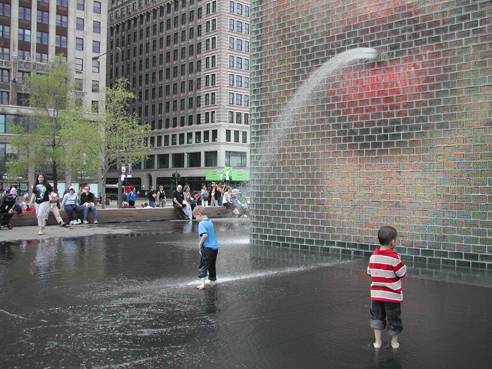 It’s a great place to people watch and to get your feet wet. 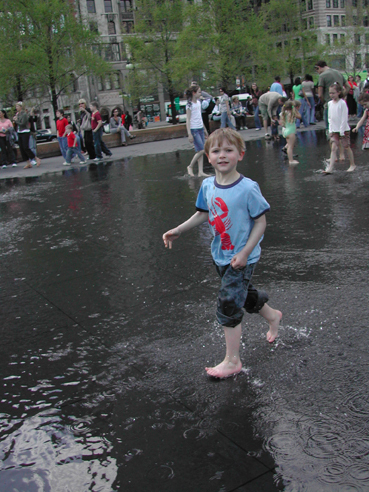 Or, if you’re anything like Benn, you’ll get your whole body wet when the fountain turns on! Auntie Ree helps little Isabella. She was fascinated by the water and it was very cute. 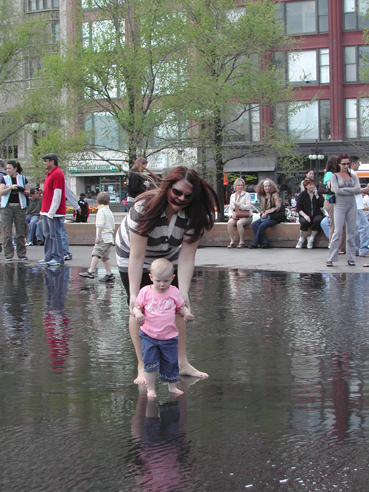 She seemed to take the reflecting pool quite seriously! She meant business. Hey! Who’s the huge dork doing a self-portrait? That’s right, as usual, it’s me.